Due to the super fun success of the second WhoThon (thanks to IronMam for organizing! ), I thought it might be fun to try one for Sherlock. 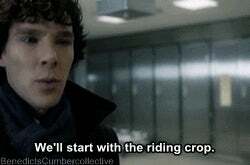 I know we've got lots of Cumber Collective members up in here so I'm going to poll to see how many we have interested in watching and chatting. Noobs to Sherlock-viewing are welcome! Here is a link to the poll if you are interested in a viewing party!